A whole morning alone in the Louvre3. This4 will recall to you that lovely group of Spanish pictures at the far end of the long hall. I still think the Murillo5 Virgin6 the prettiest woman in the world, and I still love the Ribera7 Nativity8 and its homely shepherds. Document is one leaf with image of Murrillo's "La Naissance de la Vierge," from the Louvre on recto. Handwritten message on verso of postcard. 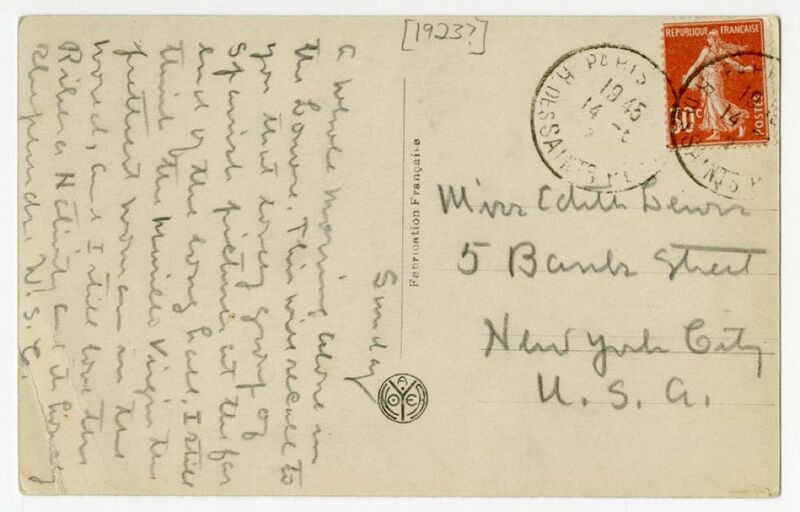 The postmark stamp, though incomplete, appears to read "14-5" (Monday, May 14), indicating that this was written the day before: Sunday, May 13, 1923. 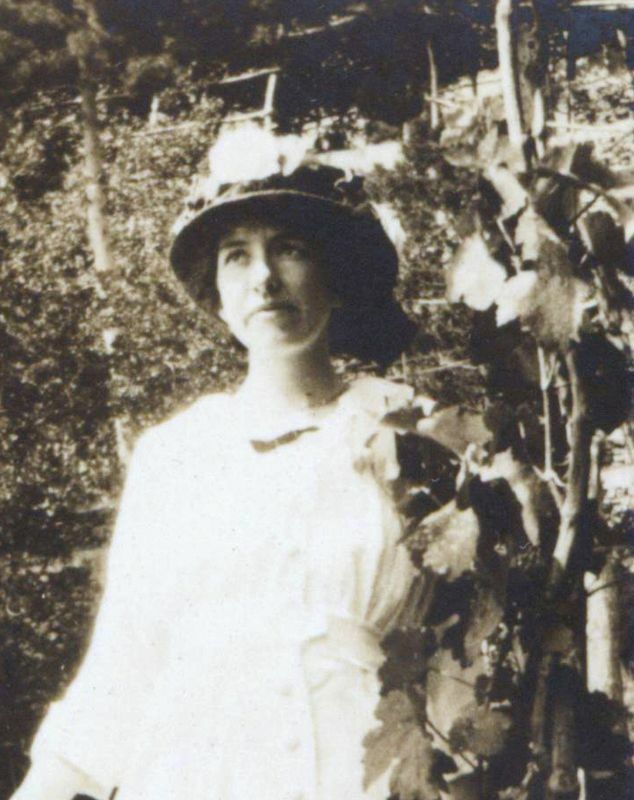 This date is further verified by Cather's comment in a May 16 letter to the Knopfs that she just "had a wonderful week in Paris all alone" (#2554). The Musée du Louvre in Paris, France, which first opened in 1793, is the world's largest art museum. Though the Virgin Mary appears in multiple paintings by Murillo, Cather is likely referring to the Louvre's The Holy Family (1665-1670), also known as The Seville Virgin, where Mary is depicted as a young woman rather than an infant. Murillo, Bartolomé Esteban (1617-1682). Spanish painter. Bartolomé Murillo was a baroque religious painter in Seville, Spain, during the late 17th century, who produced famous works for the cloister of San Francisco and the Seville Cathedral. Willa Cather saw and admired one of Murillo’s depictions of the Virgin Mary while visiting the Louvre in 1923. Ribera, José de (1591-1652) (“Lo Spagnoletto”). Spanish painter and printmaker. Born in Spain, José de Ribera spent most of his life in Italy and produced work for Spanish viceroys and the Roman Catholic Church. His work depicted religious and mythological subjects in the style of Baroque dramatic realism. 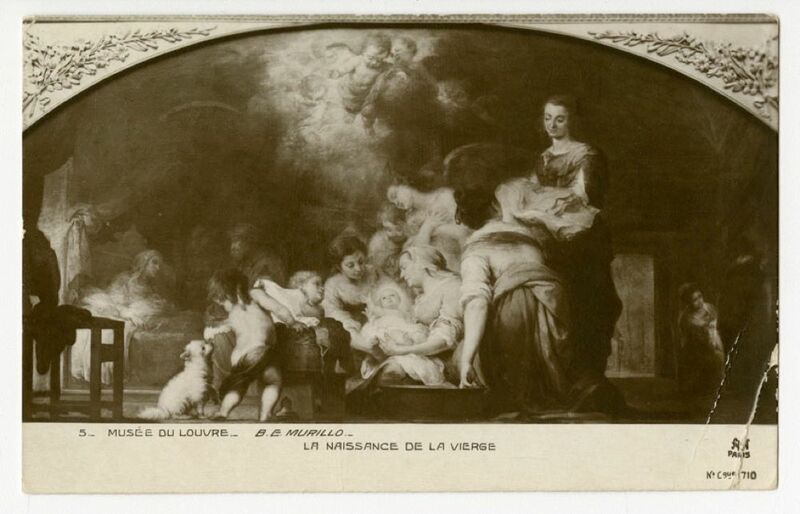 Willa Cather saw and loved his “The Adoration of the Shepherds” (1650) while visiting the Louvre in 1923.